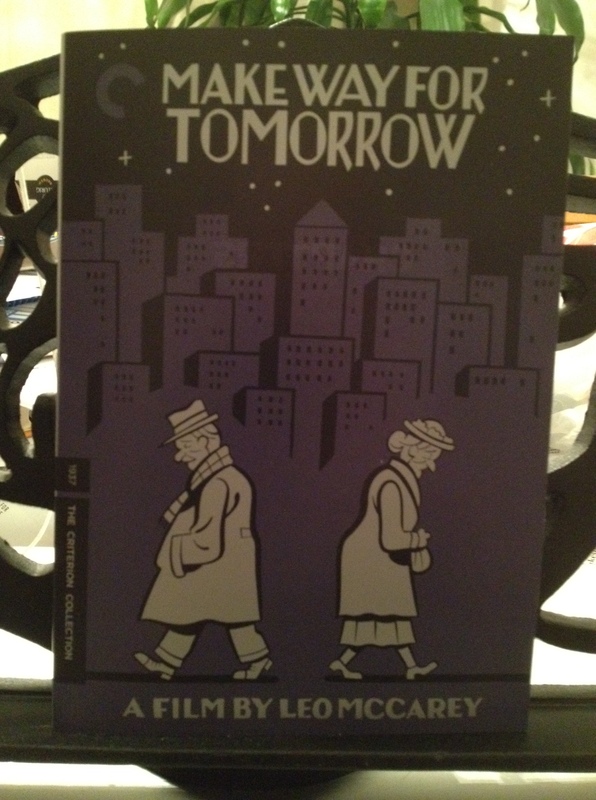 Leo McCarey’s Make Way for Tomorrow is one of the great unsung Hollywood masterpieces, an enormously moving Depression-era depiction of the frustrations of family, aging, and the generation gap. Victor Moore and Beulah Bondi headline a cast of incomparable character actors, starring as an elderly couple who must move in with their grown children after the bank takes their home, yet end up separated and subject to their offspring’s selfish whims. An inspiration for Ozu’s Tokyo Story, Make Way for Tomorrow is among American cinema’s purest tearjerkers, all the way to its unflinching ending, which McCarey refused to change despite studio pressure. Lead actors Victor Moore and Beulah Bondi play Barkley and Lucy Cooper, the elderly couple who lose their home during the Depression. None of their five children are willing or able to take in both of them, so they must live apart with different offspring, several hundred miles away from each other. Family tensions arise, as both are seen as something of an inconvenience. In the meantime, Barkley and Lucy miss each other dearly. Moore and Bondi didn’t win any awards for Make Way for Tomorrow. Of the popular movie performers of the era, they were well-regarded actors but were not considered stars. (Bondi is better known for playing Ma Bailey in It’s a Wonderful Life.) However, make no mistake about them: Their performances were masterful, and Bondi, especially, was heartbreakingly brilliant in this role. Make Way for Tomorrow is much more than a classic old movie. It is wholly relevant to the challenging times in which we live. The Great Recession and other setbacks have caused so many families to take in other family members. Our aging population has created hard caregiving decisions about where an elderly parent or relative might live. The movie reminds us that these questions, and the family dilemmas that come with them, are hardly new. Make Way for Tomorrow is powerfully effective at getting us to look at life through the eyes of Barkley and Lucy. For those of us who have not reached senior status, it puts us in their shoes — and teaches us some important lessons in the process. I watched the Criterion edition of the film. Criterion films are pricier than normal DVD movies, but they are beautifully produced and packaged with extras that enhance a viewer’s enjoyment and understanding of the movie. They typically include a booklet of essays about the featured film. I confess that Criterion editions are one of my consumer weaknesses, and periodically I hunt down the best prices I can find for them or wait for a sale at my local Barnes & Noble. You’re writing is compelling and I would love to see this film.